Kelly’s beautiful book came in the mail yesterday. And I could not wait to open it and pour over every word and image. You see, Kelly has been sharing some images from her book as she took them and I have been smitten. 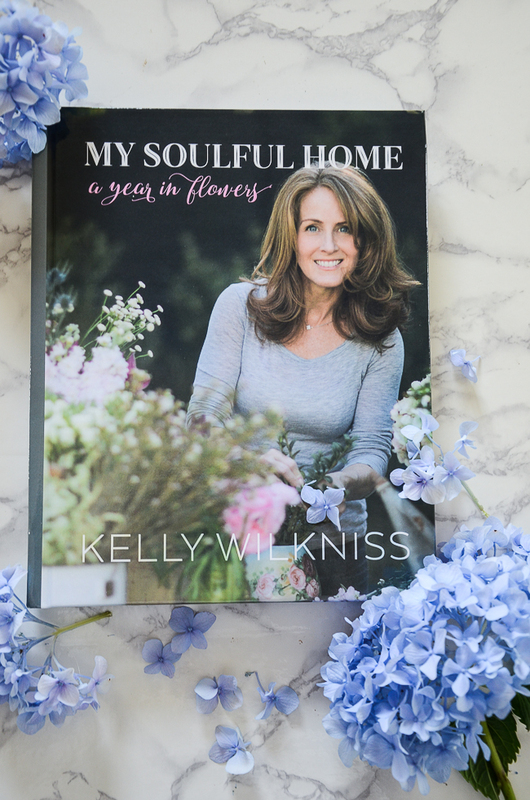 For those of you who didn’t know, my dear, dear friend Kelly from My Soulful Home has written the most beautiful book called My Soulful Home A Year In Flowers. Filled with floral tips and stories and just the most beautiful flower arrangements for each month of the year! 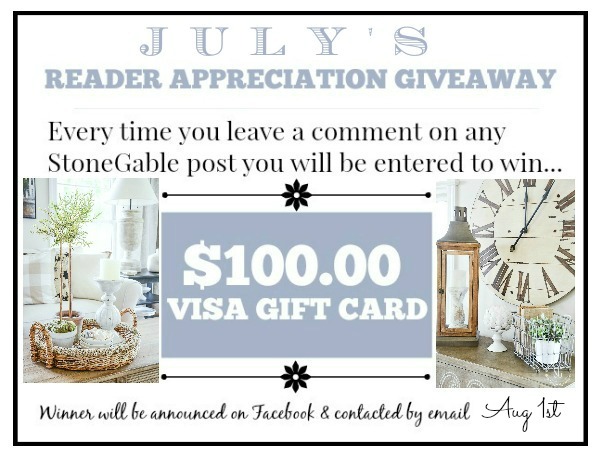 And today she’s sponsoring a flower inspired giveaway for StoneGable readers! I’m giving you a sneak peek into this delightful book. And you can even see Emmet of Decorating Tips And Tricks fame at the bottom of the post! 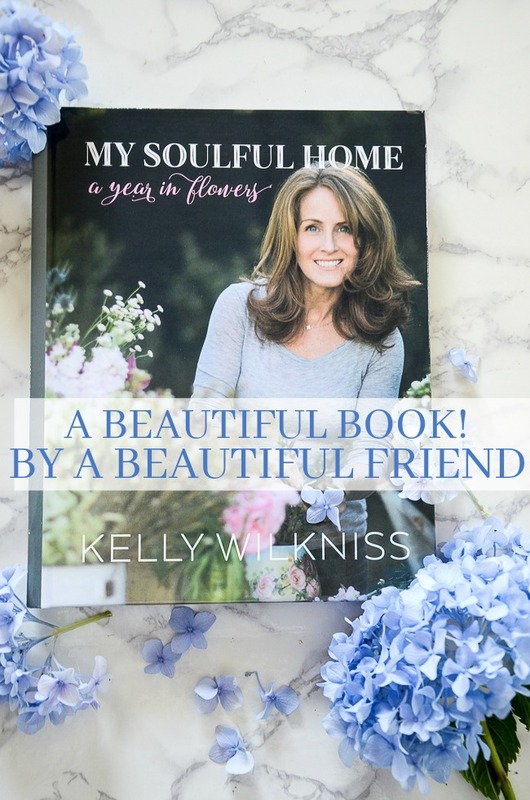 In addition to writing this book, Kelly authors the blog My Soulful Home is co-creator of the app bHome and is producer/co-host of the popular podcast Decorating Tips & Tricks. She is currently renovating an 1886 Victorian farmhouse. She shares this historic work in progress with her husband, two girls & dog Emmett. 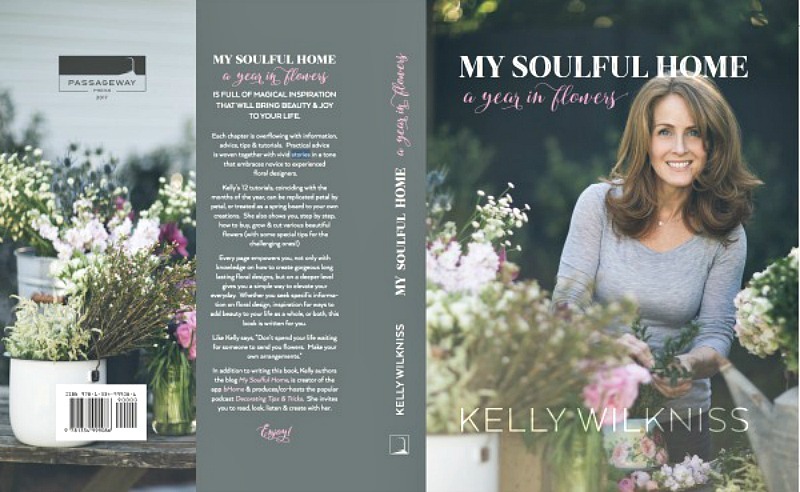 My Soulful Home: A Year In Flowers is full of inspiration that will bring joy to your life. 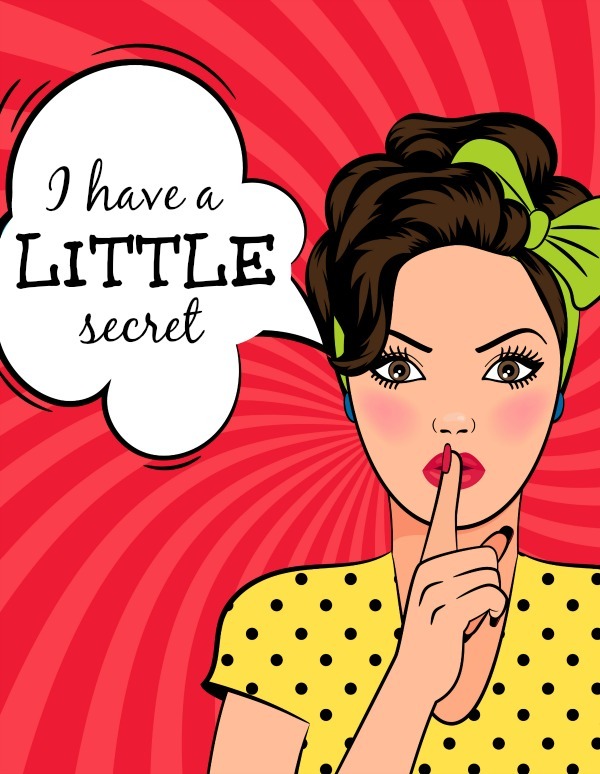 Each chapter overflows with information, advice, tips & tutorials. Practical advice is woven together with vivid stories in a tone that embraces the novice to experienced floral designer. This is May’s floral arrangement. Isn’t it stunning! And Kelly will walk you through the process from choosing the right container to adding the last flower! June’s arrangement. So sweet! And just think you CAN do this! Kelly will show you how! December’s red and white floral arrangement. Don’t you love it in the tarnished silver! Sigh! 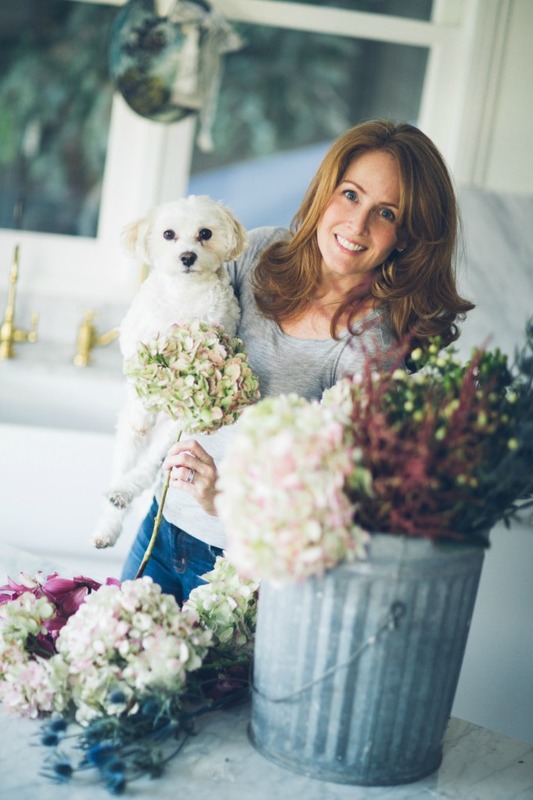 Each page empowers you, not only with knowledge on the how & why of floral design but also shares simple ways to elevate your everyday. And I know you, like me, love to elevate the everyday in our lives! 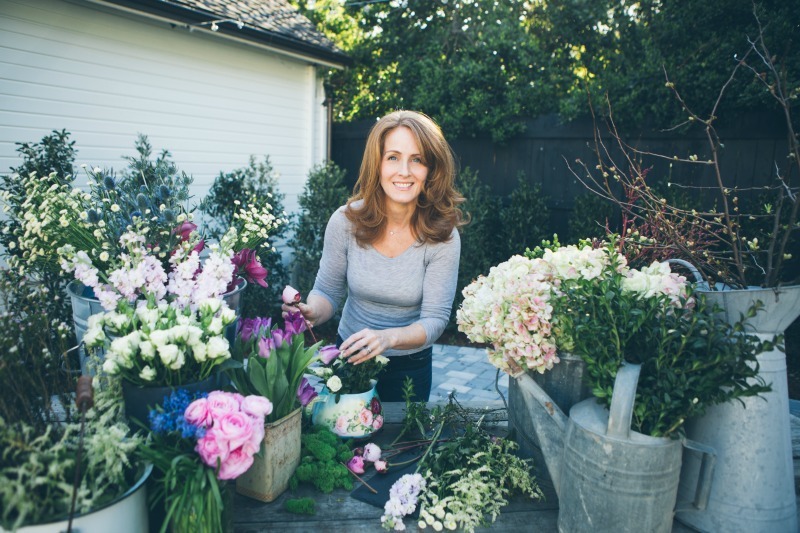 As Kelly says… “Don’t spend your life waiting for someone to send you flowers. Make your own arrangements”. With her book, you can do just that! 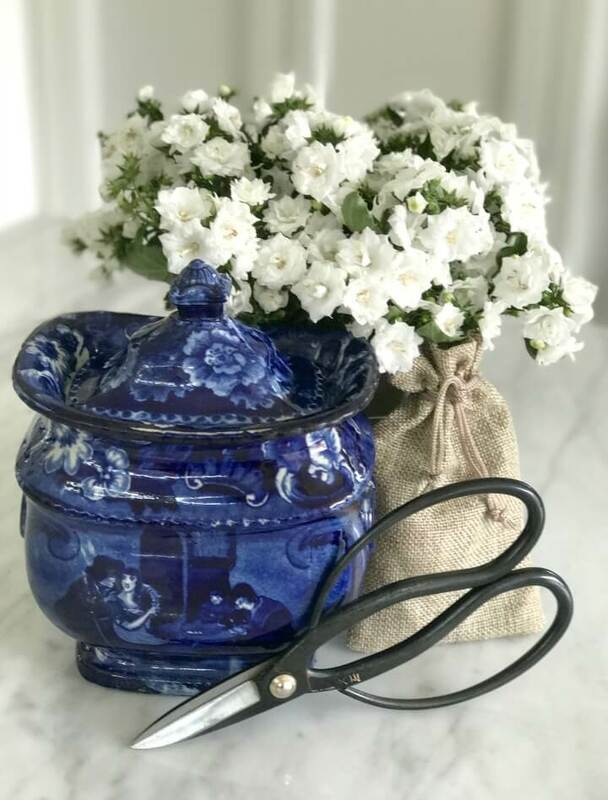 To celebrate the launch of her book, Kelly is giving away a beautiful blue & white vintage tureen, a pair of her favorite floral shears and a supply of flower food. The tureen is very old and bears the chippy goodness we love. To enter all you need to do is pop over to Kelly’s blog HERE, have a look at the collage image of arrangements. Then come back here and tell me which one you liked best. The photo collage image start with January & ends with December. Leave a comment with your favorite here & you are entered. The winner will be randomly selected and notified by email. The give away runs 7/19 – 7/26. The winner will be notified by email on 7/28. You can get a copy of My Soulful Home A Year In Flowers HERE or at your local bookstore. I’m getting a copy for each of my girls as a Christmas gift. They will love it! Kelly, I am so proud of you!!!!! You are as beautiful on the inside as you are on the outside! Kind, thoughtful, hard working and wickedly funny… and I’m so happy to call you my friend! You are truly a flower lover and gifted at coaxing the very best out of each bloom you arrange. Thank you so much for letting me share this gem-of-a-book with my readers and the kind giveaway! You can order Kelly’s beautiful book HERE. I’m horrible at arranging flowers, finally a beautiful book to help me! Thank you for the recommendation of this beautiful book. Can’t wait to get one!! Love The June arrangement! This is a must have book!! Beautiful!!!! I love all of the arrangements, but I think November is my favorite. I love the container and the casualness of the beautiful flowers. I also ?Love? the colors! I love pink so I choose the May arrangement, although I’d welcome any of them into my home. Truly lovely! I just ordered her book too. Yvonne, as usual I can count on your posts to inspire me, and today’s post was no exception. Thank you for high lighting Kelli’s book and for introducing her to us. My favorite photo is the December one, which showcases the red and white flowers in the “old mirror” finish. They are all gorgeous but I like the red and white together and the silver pitcher. Book sounds great need tips to extend life of arrangements. Love august and blue. Beautiful. My two favorite colors are spectacular in the August arrangement. Beautiful!!! I love August!!! 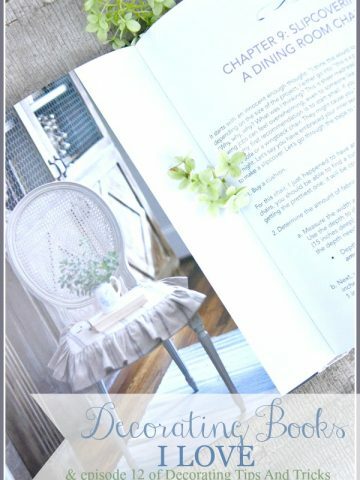 I am so excited about this giveaway, I love the Decorating Tips and Tricks podcast. All of you are so talented and informative. Congratulations to Kelly! Thanks, Susan! We love that you are listening! Wow! What a stunning book. I’ve ALWAYS wanted someone to teach me about all things flowers. My favorite arrangement has to be ‘August’ – you just can’t beat the juxtaposition of orange & blue. And the height is stunning! Thank you for this giveaway! LOVE you girls! I love December in the tarnished silver. Congratulations Kelly and thank you for sharing a preview of this wonderful book. You can tell it chocked full of ideas and ways to get the unique results for arrangements. My favorite would be December using the trio of tarnished pieces ( something I have lately developed an appreciation of). Thanks and Love the podcast-it’s on my car radio all the time. Yes, Kelly is so talented with so many things! Thanks for listening! Love the book…would be a great gift for my gardening friend! Love the September arrangement…just lovely! Thank you for the opportunity of a give-away! All are lovely. My favorite is October’s!! Would sooo love to win. The tureen reminds me of one my grandmother had. 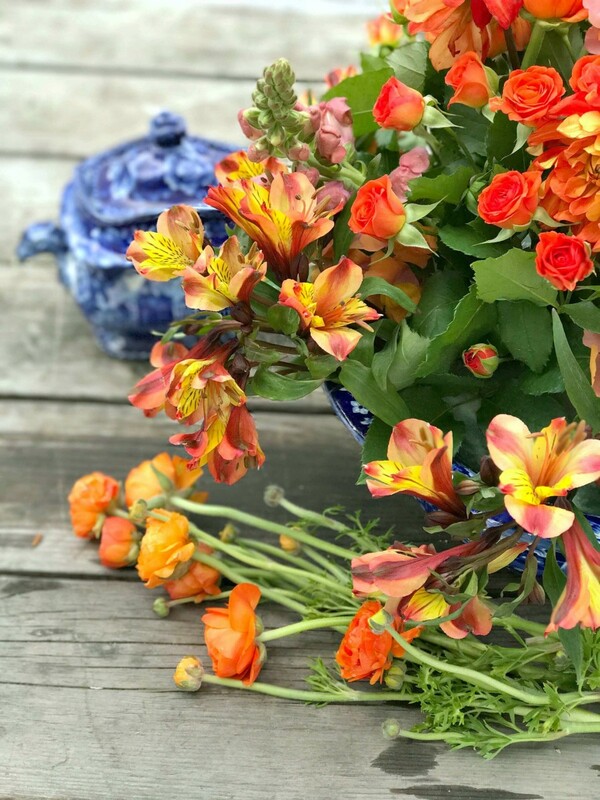 It was very hard to choose a favorite but I love the stunning contrast of August’s orange snapdragons in that beautiful blue bowl! Besides that, it’s my birthday month! LOVE June’s little cuppa cute. I love the August arrangement. The orange flowers against the blue container just pop and the bright color is such a good example of the hot days of August here in the south. Kelly, Thanks for sharing your gifts in a beautiful book. Look forward to my copy. I love May with the stunning peonies! The colors are so romantic and the gorgeous lemonade pitcher makes a lovely vase!!! Wow! I’m a little behind but the months in flowers by Kelly are beautiful! It’s hard to pick a favorite! I think because of the rustic home I have I like February flowers in the old metal container! But the are all awesome! Oh my goodness; that book is a must have for sure! If I have to pick just one arrangement as a favorite it would be June’s because of the teacup. They’re all beautiful though. I choose August! I love the orange and blue together. How pretty would it be as a centerpiece on a table set with Blue Willow? So, so pretty!! Kelly’s book is truly magnificent! A must have to all who love flowers to enhance their home and more! I love the June teacup arrangement! My favorite is May. Congratulations! I love all the pictures and can’t wait to get the book. I have always loved flower arranging. It is so much fun to get new ideas from others. My favorite arrangement is April, but they all would make me happy to make. Thanks for sharing Yvonne! Gorgeous arrangements, especially love May and June. Seriously contemplating getting the book. Only problem that I unfortunately have with flower arrangements is that I have a very inquisitive female Siamese who doesn’t hesitate to get into anything new. She even ate all the leaves off of my lucky bamboo that was placed well up in a bookcase. This is a very difficult decision, but I will select May! I love how the pink peony, zinnia, and purple tulip combination complement the antique featured vase. GORGEOUS… such a statement of perfection! Love the December one using the vintage silver as the vase. I have a number of vintage silver pieces, so it was inspirational… except I don’t use red for Christmas, but blue and silver… but that is what a book like Kelly’s is for- to inspire and act as a springboard for one’s own designs! I love April’s. (jonquils?) Yellow is such a happy color to welcome in the spring. What a beautiful book! 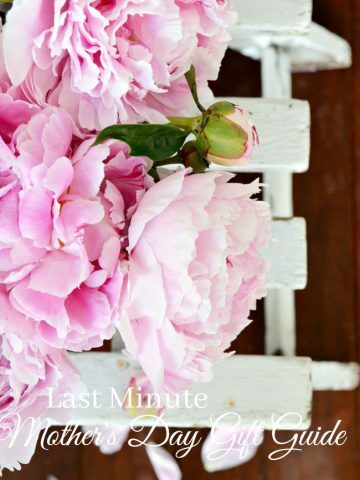 May is my favorite because I love peonies! I think my favorite is May. The peonies for sure! I was a subscriber to Kelly’s blog long before I ever heard of you Yvonne! You both have exquisite taste. May is the one that “speaks” to me. Beautiful. My favorite was the arrangement for October b/c it was so unique and original; and I’m smitten with anything Autumn. All are gorgeous…but love the November one the most. Speaks to my styke…I love hydrangeas. May is my favorite! Love the vase and the colors of the flowers!! They are all beautiful arrangements, I’m going to pick May. The flowers are stunning. Thanks for sharing. Looks like it is a beautiful book for sure! It’s a toss up for me between May and October…love them both, but will say the May arrangement is my favorite. LOVE the colors and the vintage feel of this arrangement. Loved all of them, although my favorite were the yellow roses for March! I look forward to ordering this book! My favorite is August. Love the bright colors. Thank you for sharing. They are all so beautiful! I love the colors in May! You are such a talented group of ladies. Love them all. September, with all the white, is my favorite today. Probably will pick another one later. Must get this book for my daughter who has a certificate in Floral Design from Longwood Garden. She will add it to her floral library. I LOVE Longwood gardens! Especially during the winter! Its difficult to choose…but I think perhaps December….or maybe May. I’m a Gemini, so one twin likes one thing and the other likes another.☺. I love tureens….and I collect them. How I’d love to have that blue one! Thanks for offering such a great giveaway. love the tea cup arrangement… smaller sizes are my favorite!!! My favorite was May. How could you not love all those sweet pinks? It was difficult to choose as they’re all gorgeous but I’ll choose May because I love peonies. Looks like a wonderful book…I’m ordering several. They are all so beautiful, I like the simplicity of the daffodils and moss in April and the blue and white tureen in August with the orange flowers. Loveliness! This definitely looks like a must-read book full of beautiful inspiration. Each photo looks exquisite, but I am drawn to the pink blooms of the May arrangement. Thank you for sharing her talent with us! Love the March arrangement. Looks do bright and sun-filled!! Thank you for the chance to win this lovely book!!!? They really are all beautiful. What a beautiful book. Every month is special. I have to pick the Fall months and December. I love the October arrangement in the moss lined basket. That is a perfect design for the fall. I can’t wait to get her book. I think I may buy a few for friends as well. Kelly’s book looks fabulous! It is extremely hard to narrow down, but May is my favorite. Beautiful colors and sweet pitcher! June!! I LOVE the June arrangement in a tea cup because I love tea cups and tea parties with my grandchildren!! In fact, I’m heading outside now to pick some flowers and arrange them in a tea cup! !That will cheer me up as I recover from shingles!! Such a gorgeous book! I really do love each and every arrangement, but October is my most favorite. Fall in North Carolina is my favorite time of year, but as each season comes around, I’m ready for new beginnings! I love the new book and since i love Christmas decorating the December flower arrangement has to be my favorite. I would love to win it so i can enjoy viewing the beautiful flower arrangenents and tips. Love your blog too Yvonne. Thanks. I cant wait to hold her book and absorb each page! I love all the arrangements, but the teacup has to be my favorite followed by September, my birth month. I’d pick August — the orange flowers with the blue container. That arrangement would fit so nicely in my den. December’s a lovely one too and I should pick it because that’s my birthday month, but I kept going back to August. Thank you for the opportunity in the drawing. I love August too! Blue and orange look gorgeous together for the fall. I really like the November arrangement, the container makes it. It was hard to pick, but I think I like April. The formality of the arrangement of daffodils is fresh and unexpected. Without a doubt, they are all stunningly beautiful, but I like May’s arrangement best. Maybe that’s because May is my birthday month. Good luck to Kelly on this exciting book release! There’s nothing quite like seeing your creative work on the bookstore shelve. I like them all but think November was my favorite. Wish I could’ve seen more of it but liked the wooden container and the soft colors of the flowers she used. Very difficult to choose – every flower is beautiful !! But I think I have to say “May” is my favourite. Yellow is my favorite color and daffodils are my favorite flowers so my pick is April. All are beautiful. Having to pick just one would be November. Every arrangement is beautiful in its own way, but I pick April as my favorite. Congrats to Kelly on such a wonderful accomplishment. I ordered a copy today as a gift for my sister. She will love it. Simply beautiful! May is my favorite. Just love the June arrangement! It has all of my favorite things, purple tulips, teacups and my birthday and wedding anniversary month! 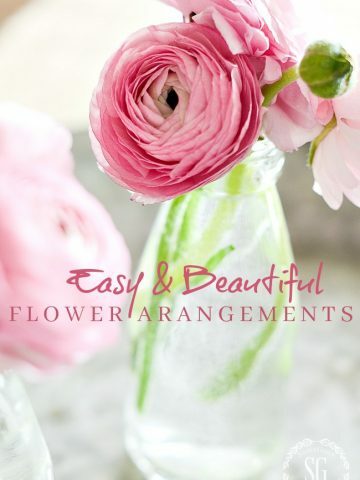 The arrangements are all so pretty, but I am partial to the pink and white peonies. I love flowers, this book looks beautiful. The arrangement i like best is the sweet teacup. I really like June’s arrangement (the teacup). Besides the beautiful petite arrangement, it brings wonderful memories back to me. For as long as I can remember, every Mother’s Day my siblings and I would give my mom a teacup with a floral arrangement in it. It started off as finding a cute little teacup with flowers at our local florist… one that we all could afford when we were younger. Then, as years passed, and we could afford more, it became a challenge for us to get the nicest teacup (whether it was an antique cup while thrifting, or a new cup at the china department in a nicer department store (Lenox, etc.)) Then we would have a custom arrangement done. She has a wall in her home with two beautiful china cup racks that display all the cups given to her throughout the years. ? Thanks for the memories! Hoping to get the book soon! M favorite is December! They are all beautiful, though. What isn’t there to like! I have to get the book for my daughter and me! I completely forgot to say that my favourite was November!!! I blame that on all the prettiness going through my mind!! I chose the first one – January, my birthday month and my favorite colors. Love the July best! Great colors and bucket! The book looks so wonderful! I love them all! I guess July and February are two of my favorites…..can I pick two? They are all lovely.. but favorite is July… it’s the one that caught my eye first! Book looks really nice… can’t wait to see it in person. Wow! Stunning photography and inspiring arrangements! I was looking for a girlfriend gift and THIS IS IT! Can’t wait to get my hands on it! I especially like OCTOBER’s arrangement. They’re colors and textures I wouldn’t ever have thought of putting together and I love how it appears to be arranged in a miniature hay bale! I always feel my arrangements just “aren’t quite right” so I’m glad to have such a valuable resource! My belief is that the world can never have too much beauty but this book would be important in our area because we are blessed with six months of snow, slush, freezing rain, hail, sudden death frosts, etc. Oh, yes, being about an hour and a half from the nearest florist and no greenhouse, YET. Bwahahha, now it is understandable why this book is going to make my fellow Canadians up here in the north very happy, lol. Each tutorial will take us that much closer to summer. Thanks for letting us try for a copy. Many sites are USA only. Enjoy summer once everything is up and running smoothly for you and your clan. Almost forgot, November is my favourite and I told you friend the reason is because it is a new arrangement depending upon the position in the room we are in. My belief is that the world can never have too much beauty but this book would be important in our area because we are blessed with six months of snow, slush, freezing rain, hail, sudden death frosts, etc. Oh, yes, being about an hour and a half from the nearest florist and no greenhouse, YET. Bwahahha, now it is understandable why this book is going to make my fellow Canadians up here in the north very happy, lol. Each tutorial will take us that much closer to summer. Thanks for letting us try for a copy. Many sites are USA only. Enjoy summer once everything is up and running smoothly for you and your clan. My favorite would be September with the lovely white flowers and a touch of blue. They all are very pretty. I’ve always been an Autumn girl so October is my favorite. How can you go wrong with hay and posies? I love them all but the December arrangement is my favorite. Love the colors and the tarnished silver. Great book! January is my first pick with the August arrangement a close second. The book looks amazing. My favorite is the one in the tea cup, I think it is June. I love anything in tea cups as it reminds me of my mother’s collection of beautiful tea cups. She so loved her collection and now I have them to enjoy and pass on to my granddaughter. JUNE in a teacup, just whispers PEACE to me. I love the pink and white of May! It’s my favorite, but I also love the variety shown in each month. This does look like a beautiful book and I would love to win the giveaway of the blue container…..I love blue and white vintage dishes! May, August, September and November! Oh, i have to pick one? Okay, i pick May! November’s arrangement is my favorite. But really now, her flowers are gorgeous, but let’s hear a cheer for her beautiful hair! What an amazing book!! I love the June flowers for two reasons. 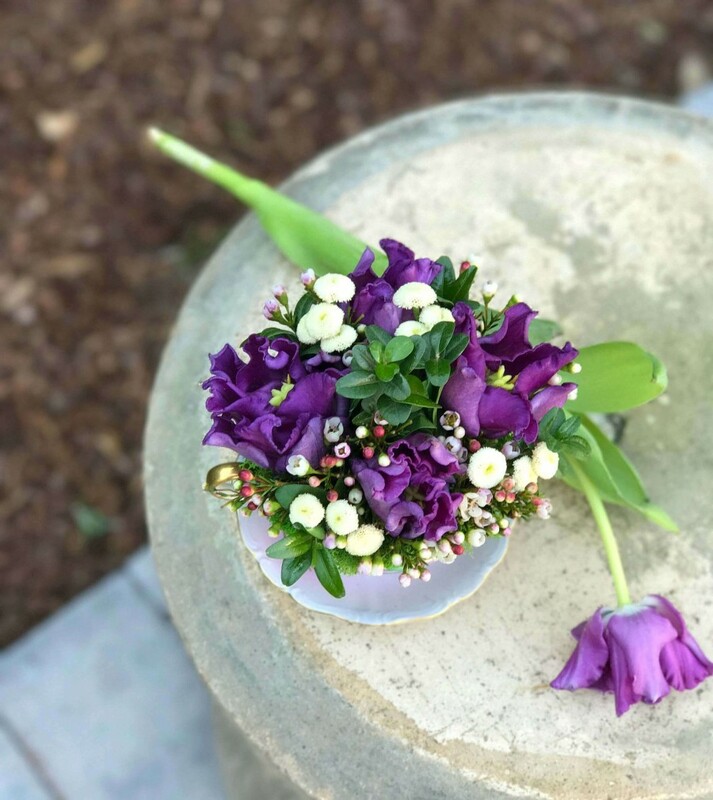 I love how the sweet bouquet is arranged in a vintage tea cup and purple is my favorite color. Love love June with the beautiful flowers in the teacup. How sweet were they! All of the arrangements are beautiful; however, June is my favorite. I love small arrangements and the cup is small and precious. Peonies are my favorite flower, so I have to go with arrangement! My favorite is the June arrangement with the beautiful purple and cute tea cup. My birthday month. Friends are treasures and I feel like I have three new wonderful friends to laugh with and enjoy their friendships, as I listen to the podcasts each day. Thank you from my heart. the May arrangement!! The Peonies! I love the December arrangement best. Red and white flowers are perfect for Christmas. I love Peonies so I choose May! That orange and blue combo in August is Amazing!!! Congrats to Kelly !!!! I love May’s arrangement. The softness and ease just looks so romantic. I would put this one front and center in my home. The book looks amazing, Congrats! It’s neat to see someone fulfill their dreams and not be afraid to “go for it”. So excited to get a copy! I have so enjoyed you girls on your podcast! My favorite is December. Beautiful! I like the August combination of orange flowers in a blue bowl. They are all beautiful! My vote would be for June’s teacup arrangement. I have some of my great grandmother’s tea sets and this would be a lovely use for them. Blessings to Kelly with this book. This is the perfect gift for a friend that needs some uplifting. Beautiful arrangements! I love November is not your typical fall colors. Every month is beautiful and I find that my response flip flops… no sooner than I make a decision! Right now I’m sticking with May, which would make a beautiful table centerpiece for Mother’s Day brunch! You are so right…these will make beautiful gifts! Lovely book Kelly!!! Congrats! Thanks Y for sharing! 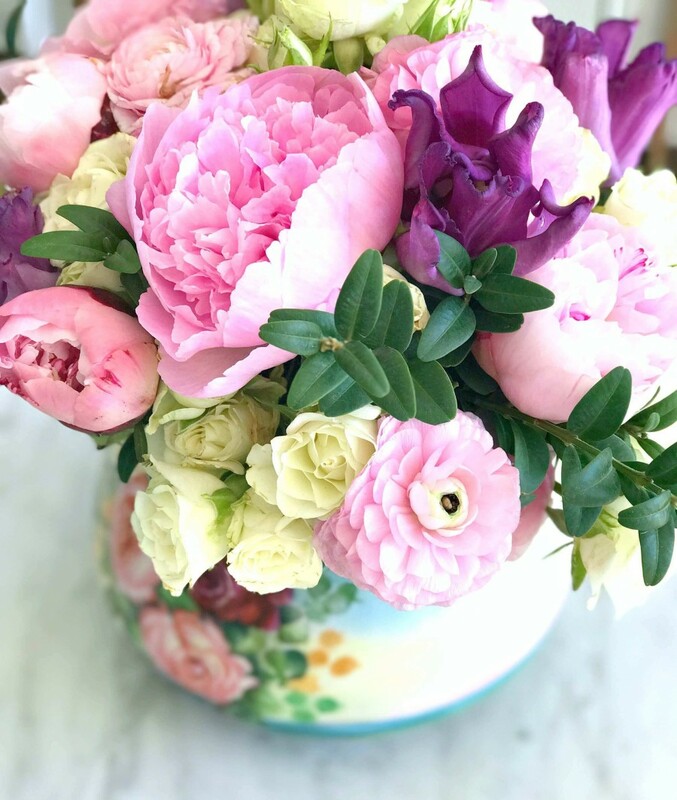 Although I love them all being a fellow flower lover – I am most drawn to the May arrangement for I love those colors the most. May peonies are my favorite. Such beautiful flowers in pinks are so festive. September is my favorite arrangement……white is such a peaceful, calming color…….. I love it! December has my heart! The red and white with silver is just stunning! Fresh flowers in my home every day? Yes, please! I love anything white so I’m going to choose September! (I hope that’s the correct Month). I always have fresh flowers in my home so truthfully they all are beautiful to me! I love the peonies in the May pic. Definitely need to get this book – for myself and friends. The red, white, and blue in July for our military family! Beautiful flowers. I especially love the April arrangement. Such a unique way to show off the yellow daffodils. It is like 2 arrangements in one. I love December, it whispers Christmas & the loved & tarnished containers add interest and charm! I love the December arrangement! Christmas just makes me so happy!!! What a gorgeous book! That is when I’m most happy, when I’m outside taking care of my plants. My grandfather, I feel, had a hand in that. He was a horticulturalist in Valdosta, Georgia and his entire backyard were roses that were taller than me!! he had a greenhouse and even began to teach us how to graft flowers. He passed away when I was only 7, but I still vividly remember some of the lessons he taught me. Flowers are such memory makers! Thanks Kelly and congratulations!! What a treasure of a book! Already in love with it and thinking of the many others in my life who will be getting a copy for Christmas! Such a beautiful book. My favorite is May. I absolutely love the shades of pink and the softness of the arrangement. Hard to choose just one, but I’m going with May. I loved the May arrangement, as spring and the promise of new beginnings gives me renewed hope. Peonies and roses are my favorite! Yvonne thank you for sharing this wonderful post. The book and the floral arrangements are just beautiful. My favorite is May because I adore peonies. I agree completely with Kelly that flowers always brighten our days and we should try to enjoy them as often as possible. The juxtaposition of orange and blue in the August arrangement is just wonderful. 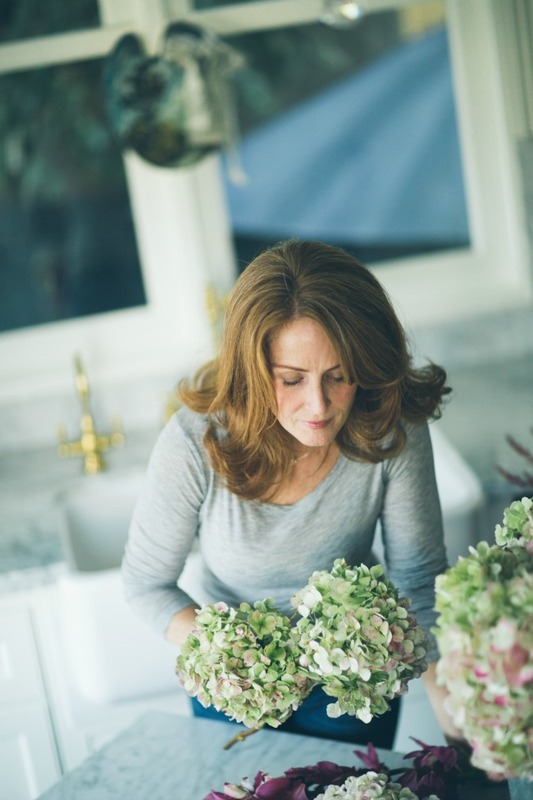 My love of flowers began as a little girl when my grandmother gave me an old spoon, a dented “Wheeling Steel” bucket full of water and a handful of little seeds and led me to her garden where I would spend hours digging, planting and watering those small seeds. It was th greatest day when I saw the teeny sprouts pushing their way to the sun. Sixty five years later the excitement of a garden, from start to finish, still remains. Arranging the flowers seems to be the culmination of it all and honestly, the most difficult. This book looks like the answer to every frustrated flower arranger. Thanks for letting me reminisce and good luck with the book. 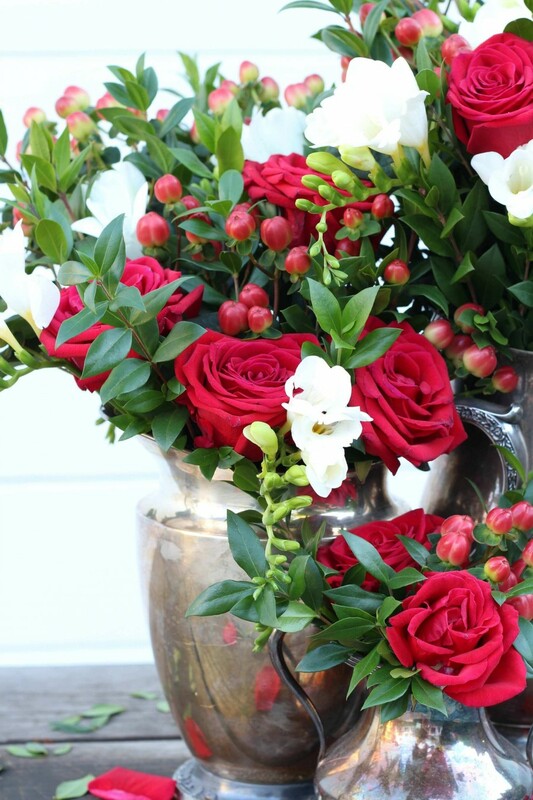 Hands down…the December bouquet!!! I will celebrate my 30th anniversary in December and this arrangement reminds me of the flowers from our wedding!! Love them all but this one makes my heart sing! Congrats on the lovely book! I know what my sister-in-law is getting for her birthday.? I would really love this book. My father’s family owned a floral shop and I played in the greenhouse. I love beautiful floral arrangements, but I do not do them as often as I should. This book would give me so much inspiration! I love the different seasons, I think the Christmas one for December is my favorite, although it’s hard to choose a favorite! I also love love love Fall floral arrangements because the colors are my absolute favorite in the fall…oranges, reds, deep greens, yellows. Thank you for sharing this book, what a beautiful lady Kelly is. My favorite one is the September flowers. September is my favorite month of the year . . . these flowers would be a lovely addition!! Love anything orange so the August arrangement caught my attention right away. That stunning arrangement woul Wor August thru November. Beautiful book! Very inspiring! Will be ordering a copy for myself and one for each of my beautiful daughters-in-law. This book will make wonderful Christmas presents, wedding shower and birthday gifts. My favorite arrangement is August, the colors are so warm and inviting and they look smashing with the blue and white bowl. My favorite is July. It looks so cute in the metal bucket. The bright pink flowers are so cheerful. Looks like a great book! October is very interesting and fun for fall. Love them all!! September is my favorite. I love the orange and blue colors together. I love the April photo, the yellow daffodils. Oh my goodness all of them are gorgeous. It was so hard to chose just one but August is it for me. Thanks for sharing, enjoy your day. My favorite us the daffodil topiary! So bright and simple! They all are beautiful! So hard to pick just one!!! Ordered book from Amazon-can’t wait for it to arrive!!! Just gorgeous all of them but I have to go with April’s daffodils , they are so simple and are always my sign that spring is here. They are all lovely, but May is my favorite! Kelly’s book looks so interesting! 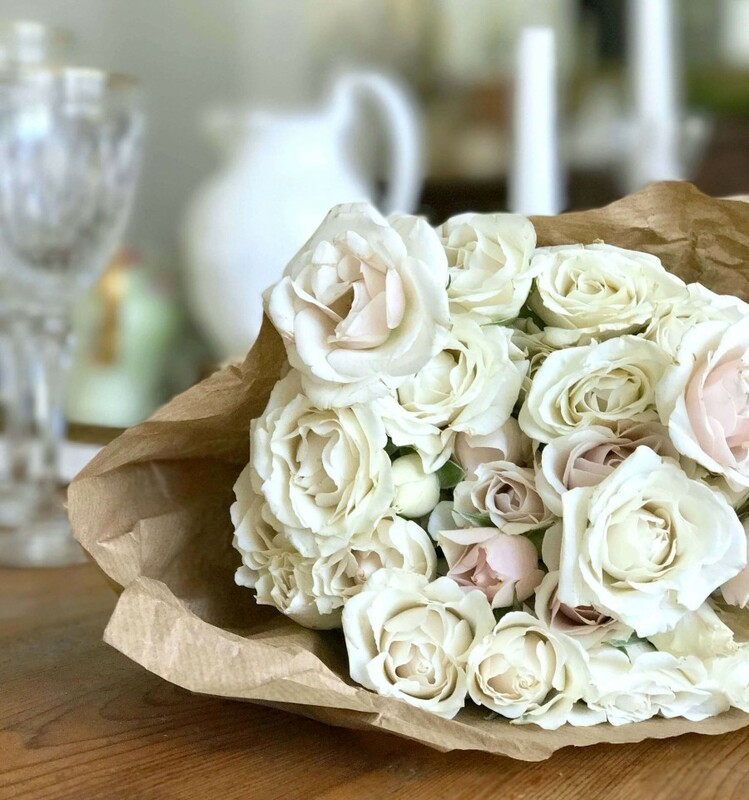 My favorite arrangement is May since not only is it beautiful…but my middle name is Rose. Thank you for sharing a beautiful book. The peonies in May have it! So feminine and gorgeous. They are all lovely but November is the one that does it for me! I like the May arrangement the best. Love the colors. I would love this book! I like august best because I love anything in the blue bowl! I love the May arrangement the best although they are all beautiful. The reason I’m drawn to that is of the peachy pink flowers included. That color was my mamma’s favorite. The dress she was married in was that color. And to top that off, it’s May and Mother’s Day is in that month. What a beautiful book and thank you for the description of the special months. I love December. They are all so pretty! My favorites are April and December. I love Spring daffodils. I get so excited when I see them start to bloom. It means Spring is here! My favorite is the June photo – I love everything tea and collect tea cups so the June arrangement is my favorite – also love purple flowers! My congratulations on the beautiful book and can’t wait to have a copy for me and all my flower loving friends. I have to say July’s arrangement is my favorite. So hard to choose as they all are so beautiful. Congratulations to Kelly on her book launch! I love the teacup arrangement. I want to order this book. Want to share it with my garden club. Thank you for sharing. Thanks for sharing Yvonne. A must for my library. Yes and mine too, Gail! I love the December arrangement – so festive. I cannot wait to get a copy of this book! May I vote for THREE???!!! I love April (daffodil topiary); June (teacup arrangement); December (roses in silver containers). If I can only choose one, I will opt for June’s teacup bouquet. I collect teacups and my birthday is in June! All are lovely, and since I listen to the podcast, I feel as though I know Kelly. I am very proud of her and happy about this wonderful accomplishment! Such beautiful arrangements – I have to go with May’s. I love the colors! The flower arrangements are all so beautiful so it’s difficult to choose just one. If I have to, however, I’d choose June. I look forward to reading your book. Congratulations to Kelly! Thanks for sharing. All the arrangements are gorgeous but to pick a favorite it would be May with June right up there with it. All are beautiful and almost impossible to pick a favorite. I love June with August as a close second. Love them all. My favorite is the peonies arrangement! I’m ordering the book for several friends as Christmas presents. What an accomplishment for Kelly! Her floral designs are so pretty. The one that I like best is the August arrangement in the sap bucket. I have to vote for the May arrangement because my favorite color is pink.